Children love playing in the dirt! And gardening is a fantastic way for parents to join in, create great experiences for their kids and grow beautiful healthy food at the same time. Some of the happiest childhood memories can be made in the garden—digging up dirt, filling holes with water, wetting everyone in sight while watering the plants and biting into sweet, freshly picked snow peas straight from the veggie plot. 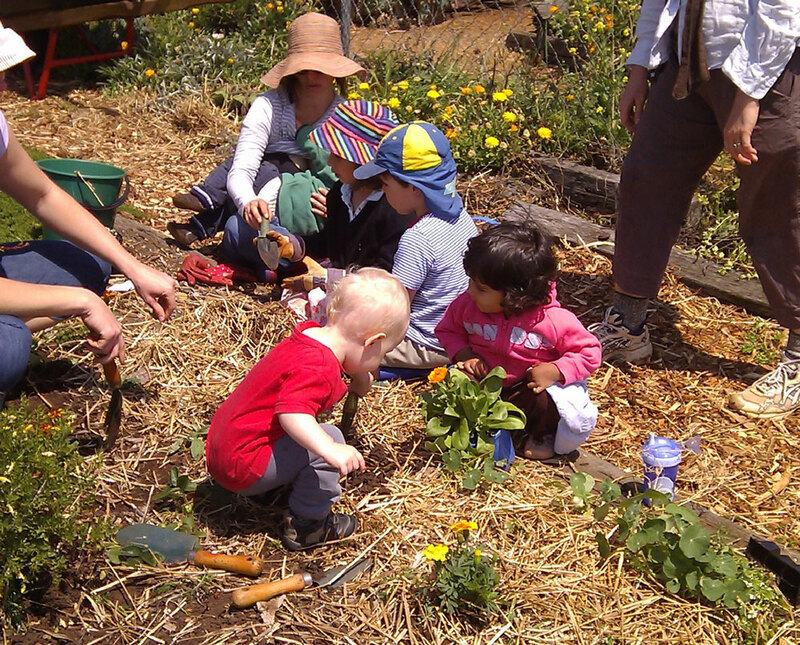 Encouraging kids to help in the garden is good physical exercise and it also teaches them about healthy eating. It gives them a chance to learn about soil and realise where their food comes from. The Soils in Schools program was launched in 2015 and is helping teach Australian school children the relevance and importance of soils in everyday life. But learning about soil isn’t something that just happens in the classroom! So we’ve come up with a few simple things everyone can do together to get their garden going at home. Find a sunny spot in the garden or your balcony to grow your vegetables. Mark out and dig up the garden bed or fill up some garden pots with good quality potting mix. It could be fun for the kids to find old boots, ice cream tubs or even an old wheelbarrow to recycle into a garden pot. Just remember to make some holes in the bottom of the pots for drainage. Look at your garden soil and see if it needs improving. There are some simple tests you can do assess your soil (click here). Most soils will benefit from the addition of organic matter, like mushroom compost (this can be found in all garden stores), or you can make your own compost using kitchen scraps. Well decomposed animal manure is also a great addition to improve soil. The key is to add a lot of organic matter to create a healthy garden soil for healthy plant growth … and super healthy children! Get some seeds or seedlings. your garden. Ask the friendly nursery staff to help you choose what you can plant this season in your area or check the back of the seed packets. Ideas for Spring vegetables you can plant—broccoli, beans, carrot, lettuce, onion, parsnip, peas, potatoes and silver beet. Beans are one of the easiest vegetables to grow and best grown from seed. Follow planting instructions from seed packet/seedling label. After planting out the seeds and seedlings, water them all. Check the seed and plant labels to see how much water they need. The little seedlings will need to be watered regularly to get them growing. It’s a good idea to water plants in the morning if possible, otherwise wait until later in the afternoon if it’s a hot day. Mulch is a layer of natural organic material placed on the soil surface to help keep water stored in the soil and add nutrients to the soil as it breaks down. Mulch cover also supresses weeds, protects the soil from running off during heavy rain and keeps the soil cool in summer. The best mulch to use in the vegetable garden is pea or barley straw, sugarcane mulch or lucerne hay. These make excellent mulch that will be taken into the soil by the worms and will enrich the soil over time. Any type of mulch cover is better than none so use whatever you can get your hands on. Get your children to harvest herbs and vegetables from the garden to make salads, prepare for cooking, or to share with neighbours and friends. They won’t need much encouragement to pick and eat things directly from the garden, once they get the taste of freshly grown vegetables. Jo Owens, Research Scientist, keen gardener and Mum. For more information on the Soils in Schools program and to read one of the four teacher guides currently available, check out the program website (click here). For more soil activities, check out the Soil Science Australia website (click here) or the Soil Challenge book produced by the FAO (click here). The Soils in Schools program is an initiative of Soil Science Australia. Soil Science Australia is the specialist body for scientists and technicians working with soils, soil management and soil policy. It was founded in 1955 and has branches in all States. It draws membership from industry, professional, academic and government bodies.